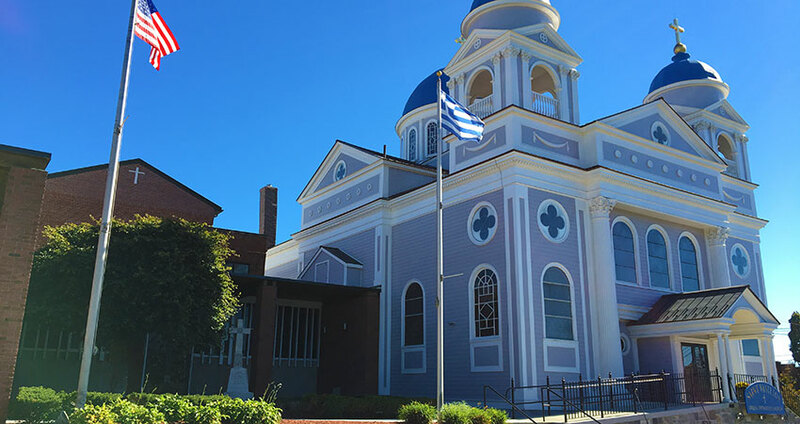 St. Vasilios Greek Orthodox Church, Peabody. We maintain administrative, technical and physical safeguards in an effort to protect against unauthorized disclosure, use, alteration or destruction of any personal information you provide on this website. If for any reason whatsoever you feel your Account Number or Password have become compromised, please contact us immediately by phone or mail. If our information practices change at some time in the future, we will post the policy changes to our website. Therefore, you are advised to check back at this website periodically for any changes or updates. We do not knowingly reveal any personal information that is provided by our customers through our website to any third parties except when requested to do so by a governmental agency having jurisdiction, by a court of competent jurisdiction or other operation of law, or when we believe that disclosure is necessary or appropriate to prevent physical harm or financial loss in connection with an investigation of suspected or actual illegal activity. Please call us at 978-531-5975 or visit our business office, weekdays between 8:30 AM – 4:30 PM at 201 Warren Street Ext. Peabody, MA 01960. Do NOT include any sensitive or confidential information in an email or fax communication. We will NEVER send you an unsolicited e-mail containing a link to the PMLP website. If you receive an e-mail or telephone call requesting any of this information, it is likely that you have received an attempted theft of your identity commonly called “phishing.” Likewise, if you receive an e-mail urging you to login to your account and provides you with a link to the login page, it is also likely that you have received a “phishing” attempt. In either case, you should bring the e-mail to the attention of our office at 978-531-5975. If you choose to e-mail us through the “Contact Us” or other links on this site, you will be asked to provide information such as your name and e-mail address so that one our employees can respond to your questions and comments.